This article is about the municipality of Pilar in Cebu province. For other Philippine municipalities, see Pilar. 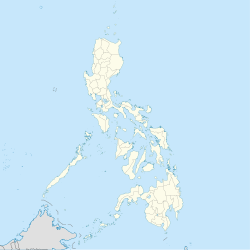 Pilar, officially the Municipality of Pilar, (Cebuano: Lungsod sa Pilar; Tagalog: Bayan ng Pilar), is a 5th class municipality in the province of Cebu, Philippines. According to the 2015 census, it has a population of 11,308 people. The municipality is contiguous with Ponson Island, one of the four Camotes Islands in the Camotes Sea (along with Pacijan Island, Poro Island, and Tulang Island). The island is about 10.6 kilometres (6.59 mi) long and 3.7 kilometres (2.30 mi) wide. People in Pilar mainly speak Cebuano with an accent similar to the locals of Bohol. Like most Filipinos, Pilaranons may also speak Tagalog and English. Waray is also spoken due to its proximity to Leyte. The town is home to the Porohanon language, one of the most endangered languages in the Visayas. The language is only used in the Poro islands. The language is classified as distinct from Sebwano (Bisaya) by the Komisyon ng Wikang Filipino and is vital to the culture and arts of the Porohanon people. ^ "Province: Cebu". PSGC Interactive. Quezon City, Philippines: Philippine Statistics Authority. Retrieved 12 November 2016. ^ a b c d Census of Population (2015). "Region VII (Central Visayas)". Total Population by Province, City, Municipality and Barangay. PSA. Retrieved 20 June 2016. ^ a b Census of Population and Housing (2010). "Region VII (Central Visayas)". Total Population by Province, City, Municipality and Barangay. NSO. Retrieved 29 June 2016.